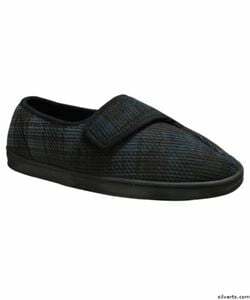 Great Low Price for such comfy bedroom house slippers. They are made of soft velour, and have cushioned inner soles. The Easy Touch closures are easier for those with arthritis. The skid-resistant soles can help prevent elderly falls by Silvert.